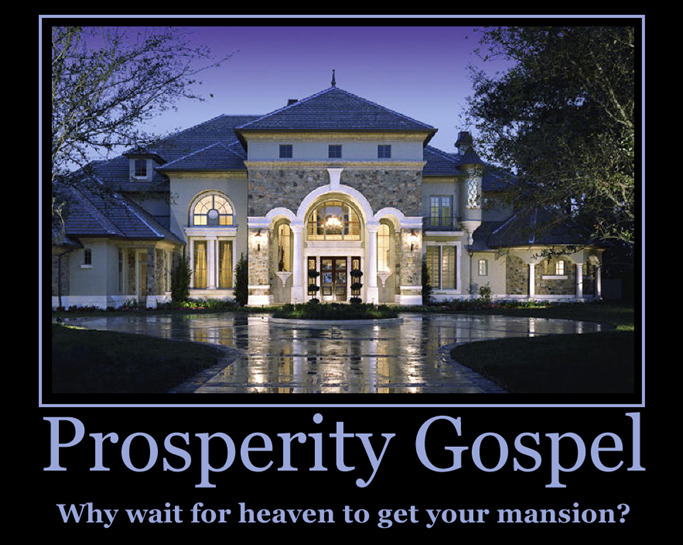 So far I have made clear that the prosperity message does not even address the issue of suffering. The prosperity message is one with many abominations of our time; it’s a message that emphasis on “self;” the same “self” that we are told to deny. The Gospel was not, is not and will never be about “having;” the Gospel is salvation to our souls; it is the pursuit of loving God with all of our hearts, whether we have material things or not. There is nothing wrong with having material things or becoming a millionaire; I believe that in the last days, God will bless many in the Body of Christ with great wealth. However, this is not and should never be the center of our message. The reality is that if God decides not to bless us anymore with material things; as long as we are saved, He has done more than enough. The message of “doing” emphasizes on the use of gifts. Everything we do or do not do is all around our gift. So you have people with serious, open sins in their lives and with damaging character flows that are not being dealt with by anybody. It is almost like there is an absent of Apostolic Authority in the Body of Christ in America when it comes down to dealing with these kinds of things. When we are not willing to see the role that we have played in the process of our afflictions, we stand in denial and many times we reduce everything to just blaming others. The Biblical reality is that before we started facing affliction WE WENT ASTRAY. So what do we say to the man or woman that was raped as children? Was that there fault also? Absolutely not! They were victims of the manifestation of great evil. However, can we use these experiences as an excuse to do evil? Absolutely not! Later, in our series we will deal with self-destructive ways of dealing with suffering. So far, we have established that the first reason why suffering is important is because God wants to share his holiness with us. There is something about the discipline of the Lord manifested in hardship, pain and suffering that brings us to the place of desiring God’s holiness. That desire can only take place when, in the process of going through the afflictions of life; we pause and take a good look at ourselves. When we are done blaming others, when we are done blaming certain events in our lives and done feeling sorry about ourselves; we come to the conclusion, as I said many times before, that circumstances and people have a way of revealing the junk that is in our hearts. When we are able to see beyond other’s faults and we come out of our victim mentalities; what is left is a heart that desires God’s way of doing things. And as deep as this revelation is, there is an even deeper reason why we suffer.